Venus Express is ESA's first mission to Earth's nearest planetary neighbour, Venus. Thanks to a set of state-of-the-art instruments for planetary investigations, Venus Express will dig into the secrets of the Venusian atmosphere. It will study its complex dynamics and chemistry, and the interactions between the atmosphere and the surface, which will give clues about surface’s characteristics. It will also study the interactions between the atmosphere and the interplanetary environment (solar wind) to better understand the evolution of the planet. Venus Express was launchend on November 9th and is on its way to Venus. 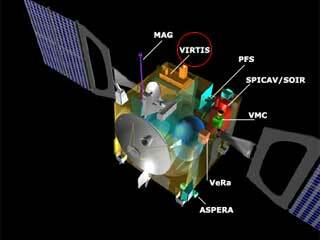 After a 153 day cruise the spacecraft will enter Venusian orbit in April 2006. There it will start its measurements and studies which include many "first time" experiments. The Venus Express payload comprises a combination of spectrometers, spectro-imagers and imagers covering a wavelength range from ultraviolet to thermal infrared, a plasma analyser and a magnetometer. This set of instruments will be able to study the atmosphere, plasma environment and surface of Venus in great detail. 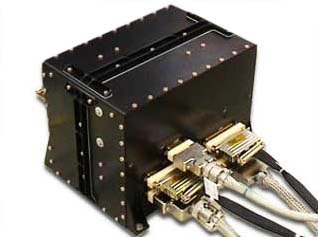 For Venus Express APCON designed and built the power supply VIRTIS-H/M for the VIRTIS instrument (Visible & Infrared Thermal Imaging Spectrometer), used for spectrographic mapping of atmosphere and surface. 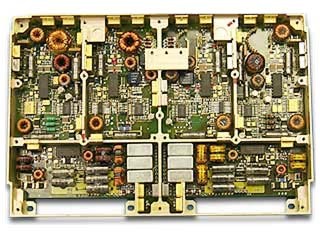 VIRTIS H/M is a completely redundant power supply including house keeping and command interface. It includes a full redundant 16bit serial command interface via ACTEL 1020 RH, redundant 12bit ADC with 16 channel analogue multiplexer and value measurement system for internal and external voltages and currents. 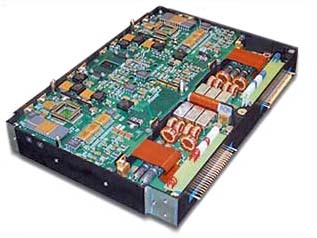 The APCON Power Supply VIRTIS-H/M provides the power for the main electronics and for the units of the Virtis-H and -M experiment at Venus Express.